Puddle stomping friends! A muddy adventure with Helen and our girls. I have been thinking about writing this post for a long time. In the last year, some very important people have come into my life. It used to be that I would automatically know whether or not someone was in my personal or professional life, but this has seemed to be a blurry line in the last few years. The reason this post has been brewing, I think, is because I've taken the time to examine the changes in my life since I last read an article about friendship, an article that upon first reading made me very, very sad. Looking back on the delightful friends I've made since taking my Kindergarten AQ parts 2 and 3, and then the "Reggio Inspired Intensive Course" over the summer, I can't help but see the article in a new light. And the difference in my life, that made this new outlook possible? 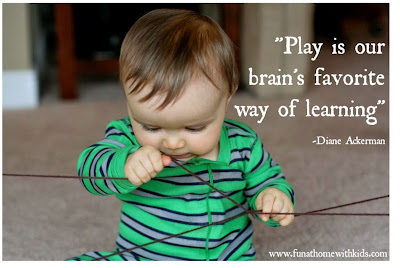 In a word: Play. My girl and Deb's building a balance structure at the beach. The article in question: "The Challenge of Making Friends as an Adult" was making the rounds on social media, gathering comments as it went. It outlines how we adults simply don't make "BFF's" like we did as kids, no matter how many times we meet someone who "clicks". True, as a parent it is much more difficult to drop everything and go out for fun. True, it is difficult to make time for a social life when beginning a career, trying to establish one's self. But there's more to friendship than simply time spent together. We may spend hours each day with our colleagues, depending on our work. Teachers spend time working together (on team school, board, or ministry mandated projects) but these projects have the possibility of being fraught, when so often the results are made public and tied to school goals. As in most work, teachers are usually concerned with maintaining a professional image: competent, skilled, reliable. These are desirable attributes, but they are at odds with the risk-taking which is at the heart of learning. I believe it is this reason that school PD for years was at best: not applicable to my teaching, at worst: actually caused rifts between colleagues and caused us to doubt our efforts and hard work. I remember hearing about staff meetings that dissolved into an angry blame game because of poor EQAO results. In my first school where I spent 8 lucky years in the same big Kindergarten classroom, I realized how lucky I was to have a principal who supported my desire to learn everything I could about developmentally-appropriate, play-based curriculum. Over time I came to understand that I was a constructivist teacher at heart, but before I had a name for it, I knew I was ready for a change. Before leaving the school I'd taught at in Brampton for eight years, I was fortunate to work with the always-enthusiastic Tina Zita, our ITRT. It was Tina who showed me that my love of tech could be brought to my classroom. She encouraged me to play with the programs (all web-based then, before I had access to an iPad) and incorporate my love of photography into class projects like my first digital books. Over my years in Kindergarten at my school, I had the opportunity to work with many experts or support teachers. When students with learning needs that exceeded my classroom offerings (whether they needed cognitive, physical, or social supports) I worked with resource teachers and outside agents to learn how to make my classroom a safe place for learning. Tina stood out, though, because she would come to my class and play. Not only that, but she engaged me in the play. She always encouraged risk-taking and celebrated my efforts. Not for nothing I sought her out when I joined twitter, and continue to admire that amazing "You can do anything" attitude that has so often led me to try things outside of my comfort zone. My treasured "ask me about" button from Tina for the #TLDW Conference social media cafe. These ideas have begun to meld for me: how to make friends, how to take risks (both socially and professionally), how to forge collaborative relationships. These have all been a great part of my growth in the last few years, and all seem possible because of a shift I've made, indeed, many I know have made, from "knowing" to "wondering". I work with many talented and skilled people, but there is something more in the relationships forged through play, or through sharing joy. A message from a fellow joyful learner before we met. Note: click on the speaker icon, upper left, to hear this vine. Click again to turn off. I have moments that come to mind of meeting educators who passionately embrace playful learning, not only for their students in the classroom, but as a general way of life. Indeed, it seems to me that embracing emergent curriculum has lead me to be a more joyful person overall. Does that seem strange? It seems odd to see it in print but I know it's true - I'm much more tolerant of my own mistakes and misgivings, and I'm more present in my day-to-day activities, finding the mystery in life at every curve in the road. More than that, I am comfortable with being who I am: a silly, often-too-loud, sensory-seeking geek whose love of science and nature is not something to be shy about. 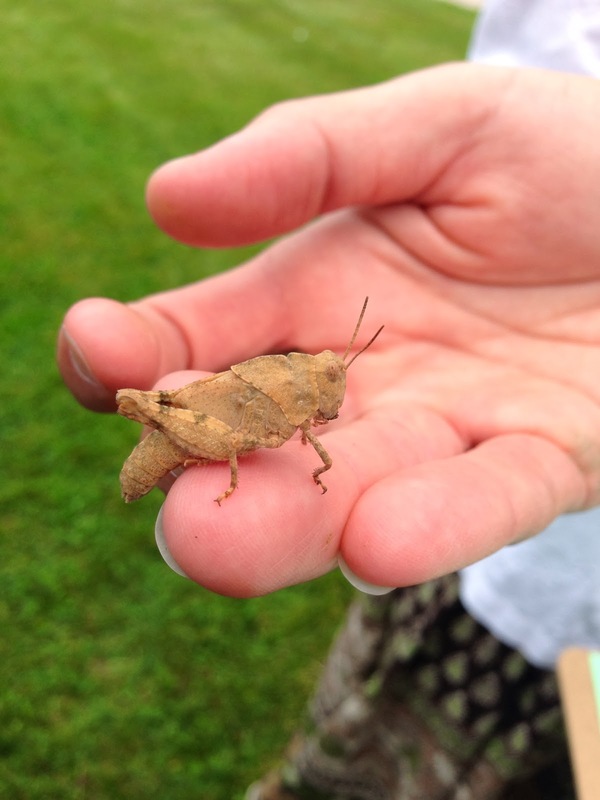 It isn't summer until I've held my first grasshopper or firefly. There are several people in my life who seem to help this spark stay alight, people whose wonder matches that of their students. One is Julie Metcalfe, who I met when I moved to her school and very nearly became her partner (alas she, like me, found a school that didn't require her to commute a dreadful distance and thus left her classroom to me). We became PD buddies, taking our Kindergarten Specialist together and spending a wonderful week at Richland Academy and Acorn School last summer at the Reggio-Inspired Intensive. I'll never forget how, when Julie and I discovered the outdoor musical wall, rather than miss a moment of play in that yard to go ask for the key to the gate, we hopped the fence and set about making much noise. It wasn't hard to imagine how our own students would delight as we did, or how we could use this idea to provoke music-making with found materials in our own classrooms. Julie and I play with the musical wall in Richland Academy's wonderous Kindergarten outdoor space. At that Reggio-Inspired course we also met Helen Chapman who quickly became a friend, someone whose awe for all things wonderous matched my own, a friend who was equally geeky and joyful and mischievous. She immediately seemed very familiar to me, as we'd met at Peel's Kindergarten Conference a few months before, but also familiar in the way she abandoned worries about how things are supposed to be... I knew I'd met another puddle jumper. I convinced her to join twitter and see the number of teachers (like those in our course) who were embracing a playful yet rigorous approach to teaching. Helen's intuitive way with technology exceeded my own, and in no time she figured out what I hadn't yet in my year on twitter: how to create lists or groups. I was excited to have met someone who, like Tina, would inspire me to keep trying new things and pushing the boundaries of how I learn and teach. Materials gathered to create window blocks: an afternoon of creative play at Helen's while the kids enjoyed the outdoors. A tower of hand-made blocks - beautiful! 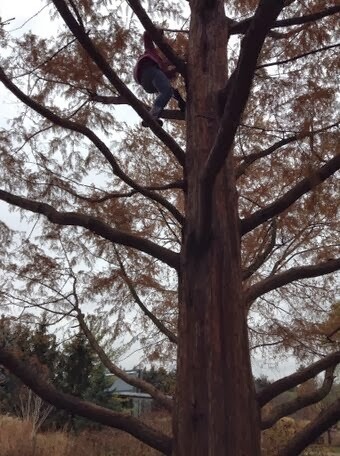 A particularly inviting tree for climbing: a Redwood at the Arboretum. *I was next up the tree. 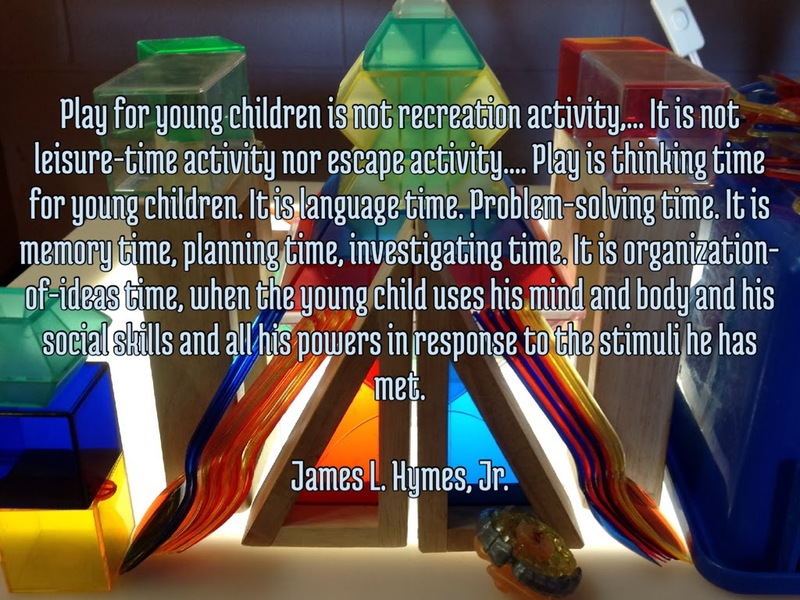 Acorn School's vine post captures many of us at play, testing our marble runs at Richland Academy. It was Tina who had asked me earlier that summer if I'd consider presenting at Peel's "Teaching and Learning in a Digital World" conference in August, sharing my learning journey using the iPad as an integral part of my program, both for documentation and for professional development through developing my PLN using social media. I balked at first, thinking she should go with an FDK teacher, a better-trained teacher, anyone but me! I continued to balk, until I learned that George Couros would be the keynote speaker. Still nervous but motivated, I went to twitter to solicit a partner. I was delighted when answered by Emily Krahn, a teacher at a nearby school I'd never met but enjoyed in our online conversations. We met for coffee and the hours slipped away as we chatted about ongoing inquiries in our classes, the amazing power of following emerging interests and skills to develop our projects, and how we wanted to better use our technology to support our program. We talked big subjects and fine details, and agreed to play with various apps on our own before meeting again. Using bitly to bundle the multitude of links we curated to share, we finally settled on three main themes that we thought our participants might wish to explore. Inspired as we both were by the Project Zero critical thinking prompts that were my part of my early foray into inquiry-based learning, we called them all a variation of "Making our Learning Visible". By the end of the Reggio-Inspired summer course, I realized that Emily and I needed a third person to fill out the three themes that we'd identified. I asked Emily who happily agreed to add Helen to our group, and we three played with apps all through August to find which best suited us. It meant that our Edcamp-style workshop had a lot to offer, though none of us were confidently 'expert' in the technology, we were all experienced in playing with it. In speaking to participants, we discovered we knew more than we had given ourselves credit for, and that came from agreeing to do the workshop and doing the research. I can't imagine working this hard to learn something new if I had to; it was summer after all. We'd been our own teachers, our own PD, by making this our inquiry, asking our PLN how they approached documentation and going from there. Our pre-presentation smiles: me, Helen, Emily. There are more, friends I'm grateful to see every day because they're on my K team at work, like Deb Croft whose room is abuzz with experimentation every day. 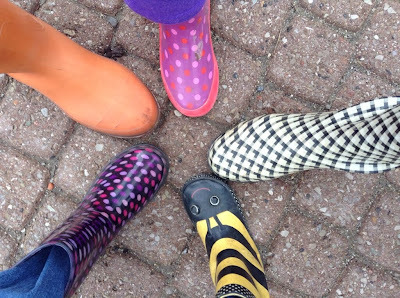 Deb and I became friends over our love of nature, outdoor play, messy provocations, and lots of coffee. It was Deb who encouraged me to join the Thornwood PS "Marafun" relay marathon team last spring (an event started by Julie when she was still at Thornwood) and who ran with me through Mississauga Valley dodging puddles, melting ice traps, rain and closer to race day, heat! As an adult I'd ridden my bike for years but never run, so I know I'd never have signed up without her. During our training period, we ran in our neighbourhoods too. There's nothing quite like seeing two inquiry-based teachers running: we'd slow our stride to grab feathers, driftwood or even a nest (that was me) and continue to run, holding our treasures. Anything too big, a trip back in the car always in order. Our own children know a trip to the beach with us means buckets for stones, wood, glass, shells, and anything else we find to bring back to our classrooms. This year when the temperature dipped well below zero and I became frozen-bubble obsessed, we began to tweet each other our recipes and results from #bubblefreeze experiments and made the most of two minutes outside before loading students to the buses. So often I find some amazing, awe-inspiring experiment online, and my first impulse is to share with Deb so we can try it with our kids. 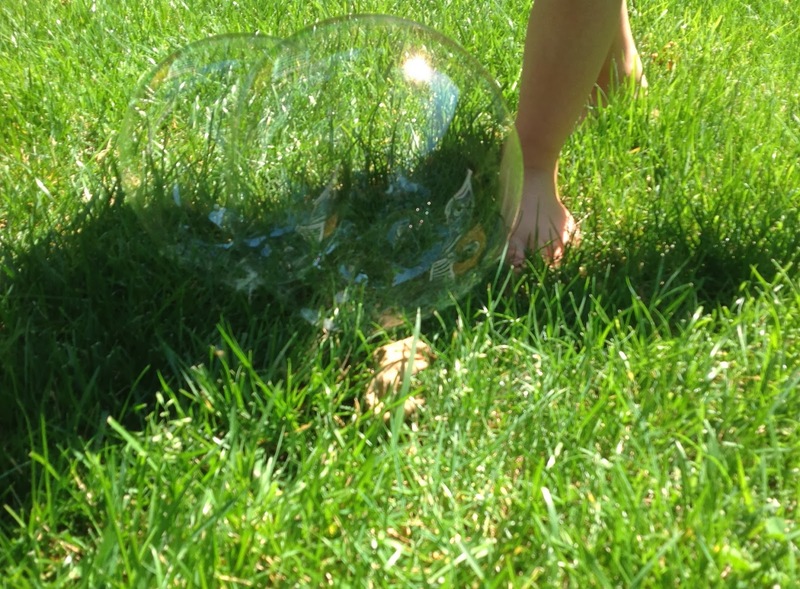 Playing with bubbles on a summer day at Deb's house. Deb finds treasure while we're beach combing with the kids. Another teacher I'm delighted to work with is Lada Duric, whose room is attached to mine, with one pod between us (yes, an enormous 3-class pod) and who leads our Kindergarten team. 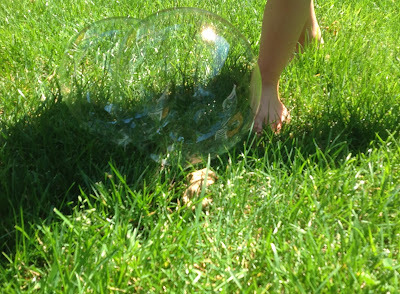 Lada delights in the same things so many of us do: the play of light, movement, the way children see possibilities in materials, outdoor learning. The story that best illustrates my connection is from the fall, when I was helping her to find materials to use as provocations for an upcoming staff meeting. We had both curated workshops at the opening of the "Hawkins Exhibit" hosted by Diane Kashin and Louse Jupp, held at Richland Academy and Acorn School in Richmond Hill. (Those "messing about" sessions were a highlight of my year and require a post of their own). Our very inquiry-supportive principal Rob Di Prospero had asked us to share the main messages of D. and F. Hawkins as it relates to incorporating inquiry into all grades. Lada worked with grade five teachers to find appropriate references and to make the learning relevant. While we did bring buckets and tubs of our own loose parts materials (tubes and boxes and assorted materials for marble runs, bricks and stones for balance structures, leaves and other beautiful stuff for mandalas and mark-making) we also had to be sure to include materials already found in junior classrooms. We found them all right. It was like two kids in a toy store when we got at their math manipulatives. Our grade five colleague M Geddes might have thought we were crazy, because we both treated all the materials like loose parts: rolling weights, stacking boards, clinking materials together to hear the sounds they made. We burst out laughing at the way we both attacked the manipulatives with glee, and imagined what wonderful ideas our K students would come up with for using these materials. 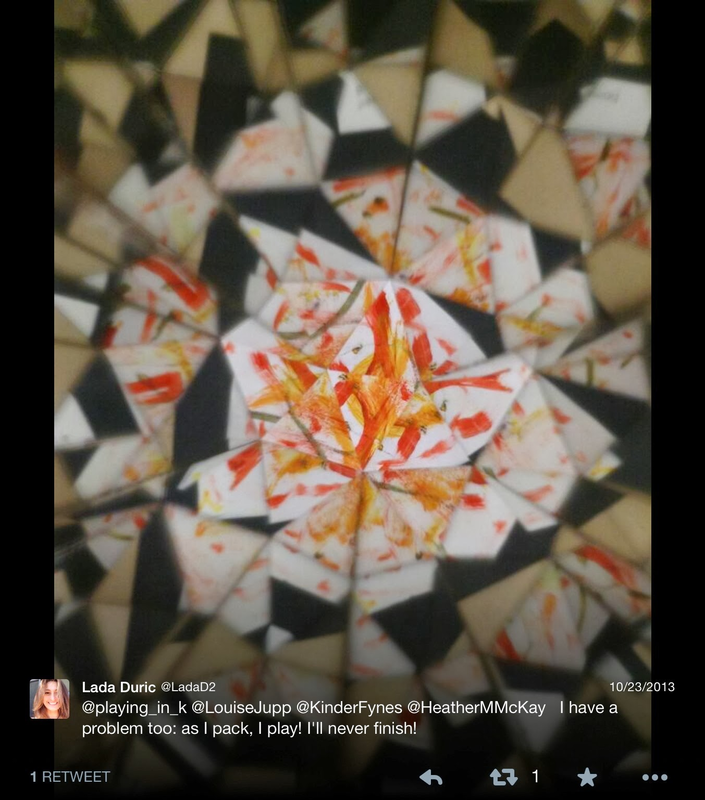 Lada's tweet well-demonstrates the curious nature of a lifelong learner. Vine by V. Silva (another delightful friend at Thornwood) on a very, very cold day! Note: no stories about Vanessa today, as I'm hoping to feature her here someday as a guest. I am still mulling over the weekend that was the Hawkins Learning Exhibit inaugural Canadian opening, as it was easily one of the most meaningful events of my teaching career. I will say, however, that the best part of all was meeting a like-minded joyful friends who came from Calgary to attend. 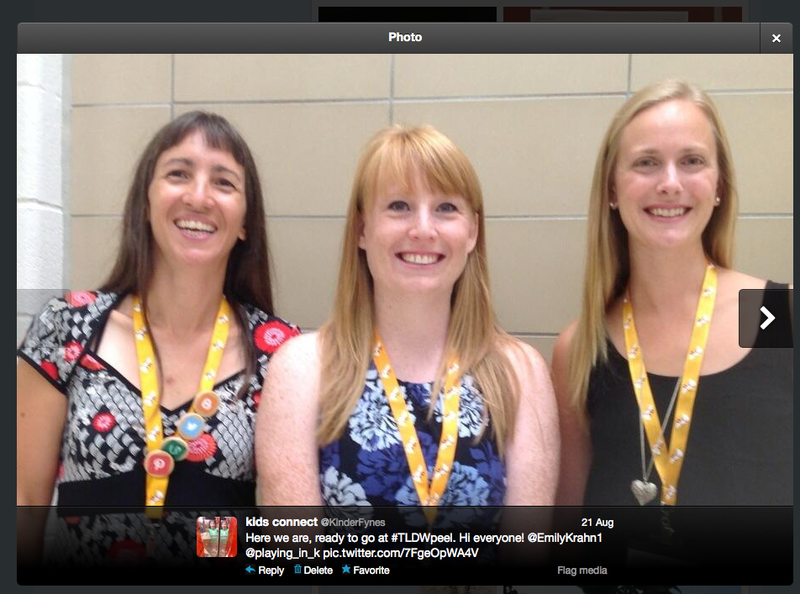 Heather McKay was the person of my PLN I most wanted to meet. Her every tweet or post showed her to be a truly joyous learner. We had collaborated across the distance and shared treasures. Her playful explorations inspired me from afar, including the day Julie and I discovered the musical wall when we had gone outside to "play with the sky" to quote Heather. Her passion for #enviroEd, emergent curriculum, and creativity made her visit a highly anticipated event among many of us presenters and attendees. When we had time to explore before the afternoon sessions, I laughed to see Heather approach everything at Acorn School as I do: like a kid. She touched the textures, held objects up to the light to see the shine, peeked in jars, struck anything that might make music. These aspects of my personality that have made me seem a quirky oddball as an adult were perfectly at home in this Reggio-Inspired environment and with such a playful person. Again, I knew I'd met a fellow puddle-jumper in Heather the moment she crawled in Acorn's famous mirror house. Sometimes the friends I've made are people I've long admired for their leadership in emergent curriculum. Those people who inspired me to try new ways of learning, and teaching, and who I thought of as mentors. Funny thing about play: those mentor/mentee or teacher/student roles disappear when you're uncovering something new and wonderful together. Learning by transmission of wisdom (learner must listen to the teacher) has within it an inherent status structure. Like I mentioned in my accounts of the Reggio-Inspired Summer Intensive course, I expected that meeting Diane and Louise would be a bit daunting, but instead we participants were made to be welcome and made to feel like equal participants to the construction of the knowledge growing in the course. 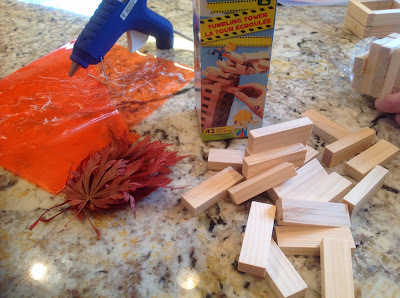 Likewise, when Serge Pascucci invited me to present a loose parts arts workshop at his Kindergarten AQ early last summer, I was in truth quite nervous. (This is another rich experience I have brewing up to write about one day). That nervousness faded immediately when I was welcomed by his class and we got down to serious play. His students were so engaged with the materials our session went well over the time expected. Quote on a favourite photo from last year. 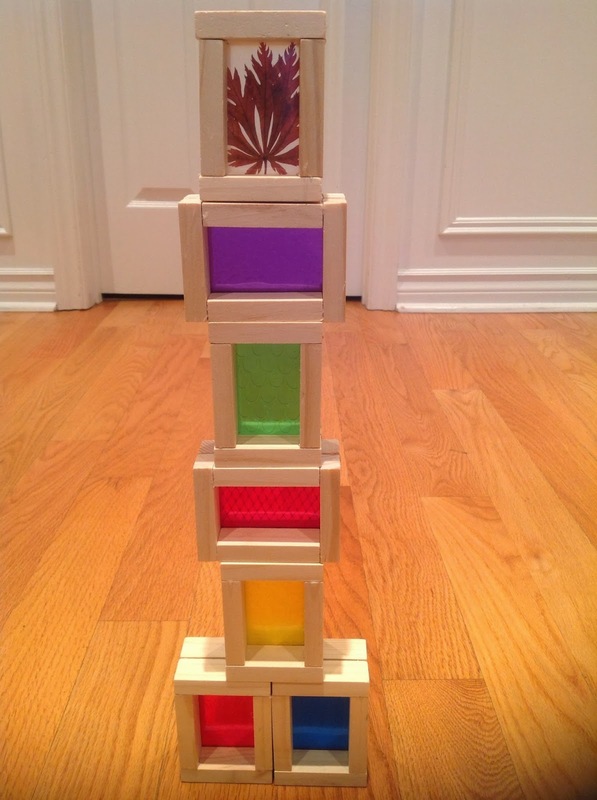 This light table play involved several students and the talk revolved around colour, balance, symmetry: "make it the same! ", shadows, shapes, and beauty. 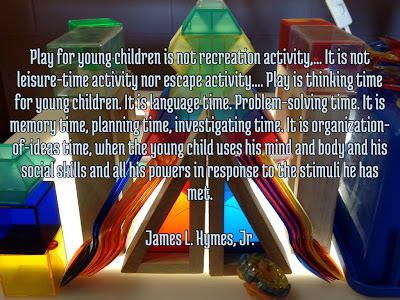 It is through engaging in deep play that I learned how hard people will work when the materials are inviting and the questions are thought-provoking. It is for this reason I spend so much time in September playing with my students, getting to know them and their abilities and interests. Before great projects may emerge, the students need to create collaborative friendships like those that sustain me. I continue to be inspired by these people and many more in our fantastic twitter PLN. If you have someone in your professional life that inspires your joyful learning journey, drop me a comment here, or even better, tell them how much they matter to you. Could you please give a step-by-step tutorial of the homemade blocks? I can do one better: I can give you the link we used with the pictures included! Helen had experimented with making a few before I came over, so she would be a better trouble-shooter than me, but I do remember that we tried various ways of fitting the blocks BEFORE committing to gluing. It was a wonderful project and the results have stood up to two classes using quite vigorously each day. Good luck, have fun! If we could bottle you up and create more educators like you the school system would be an even better place to be! You are an educator full of passion and dedication to professional learning. I connected when you said "embracing emergent curriculum has lead me to be a more joyful person overall". I couldn't agree more. I love teaching and I love going to work daily. I bring my work home and think about it, but not in a daunting way, in an exciting way! I find myself learning alongside the children and my colleagues every minute of the journey. I feel fortunate to call you a colleague and although our spaces are not next door to each other I feel as though I know your children, your classroom, and you! Thank you for continuing to challenge others in your network and for being "you"! I've meant to reply to this several times but each time I read your comment I'm left speechless (yes, it happens to me though it's hard to believe!). Thank you for being another agent of change, a critical friend whose love of learning is such an inspiration.